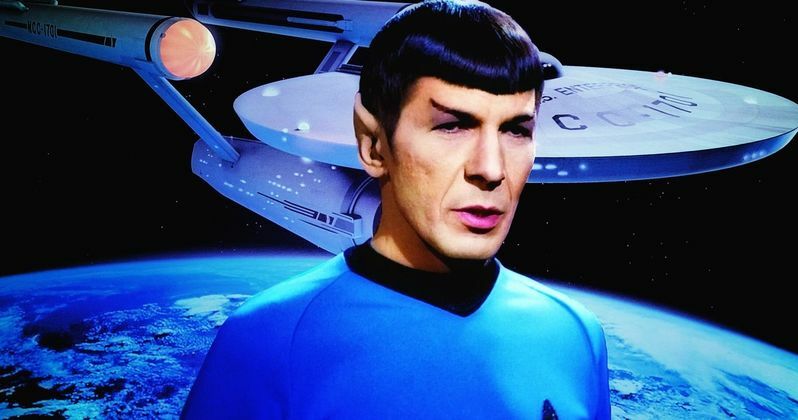 Is a CGI Spock on the way? The future of Star Trek is bright, despite the fact that Star Trek Beyond didn't quite live up to expectations at the box office. Paramount is moving ahead with a fourth Star Trek movie that will see Chris Hemsworth return as George Kirk alongside Chris Pine as James Kirk, meaning that the two will be sharing the screen for the first time in this new franchise. CBS is also working on Star Trek: Discovery, a brand new series that will air later this year. Sadly, Leonard Nimoy passed away in 2015, so we won't be able to see him play Spock, but according to his son, it would be a great idea to bring him back as a CGI character. Leonard Nimoy's son Adam Nimoy recently was interviewed by TrekMovie about his upcoming Deep Space Nine documentary What We Left Behind. During the course of the interview the subject of using CGI to resurrect Spock came up and he was surprisingly open to the idea. Here is what he had to say about it. "Yeah I think it's an interesting idea. I loved what they did in Rogue One. I thought it was pretty clever, and I was blown away by it, frankly. All of the stuff that Peter Cushing was doing was mind-boggling to me. I'm a sucker for that stuff. I think it should certainly be explored, but I'm not the final arbiter as to whether it's going to happen, but I think it's a great idea, personally. There are more parties involved than just me as to whether it's going to happen. On a personal level, I think it would be cool." The days of a character simply being gone after the actor or actress who brought that character to life is no longer with us are in the rearview mirror. Rogue One: A Star Wars Story was able to resurrect a completely CGI version of the late Peter Cushing as Grand Moff Tarkin. It may not have been perfect, but it worked and the technology is only going to get better. So there is no reason to think that a future Star Trek production couldn't use that technology to bring back the iconic Vulcan. The question then becomes, should they? And that is a bit more tricky. Adam Nimoy is certainly open to it and Spock is an incredibly important character not only to Star Trek, but to pop culture in general. There have been other instances of using CGI to bring back characters for movies. One of the best recent examples was in Furious 7 where a combination of Paul Walker's brothers and CGI was used to bring back his character Brian O'Connor. There have also been examples of using similar technology to de-age actors, like Michael Douglas in Ant-Man and Anthony Hopkins in Westworld. The same technology is also expected to be used in The Irishman, the upcoming Martin Scorsese Netflix movie that will utilize CGI to de-age Robert DeNiro and Al Pacino. In the age of improving CGI, we can't expect for productions not to put it to good use. At least in this particular case, it seems like resurrecting Leonard Nimoy would be done with the blessing of his family. Star Trek: Discovery takes place before the events of the original Star Trek series, so it is doubtful Spock will show up there, but anything could happen in the future, especially with Star Trek 4 on the near horizon. As it stands, Anton Yelchin's Chekov will not be recast, and it seems very unlikely that anyone would ok a CGI version of the younger Chekov to happen.